How many of us have walked into a wine store and just stared at the bottles? We think…. “I want to spend X number of dollars on a bottle”. Or “Oh, I’ve had that wine before.” or “Wow, that’s new to me”. And then we say…. “its a pretty label, I think I’ll buy it,” and we walk out the door with our purchase. Wine labels can be confusing, some wineries put a lot of information on the label, others will put the bare legal minimum on it. Neither is wrong, But, at least in the United States, many winemakers and their marketing departments are discovering that a good percentage of consumers, particularly Americans, are likely to buy the pretty/sophisticated/cool label, depending on who we are trying to impress with our purchase. So, there can be a lot of marketing on that label, but what is important, and what does any of it mean? Here are a few items that appear on wine labels, and their explanations. Brand – The name used to identify the product, this may be something other than the name of the winery. For example, Two Left Feet is a wine produced by Mollydooker Winery, Two Left Feet is the brand name for their Shiraz/Cabernet/Merlot blend that I love. 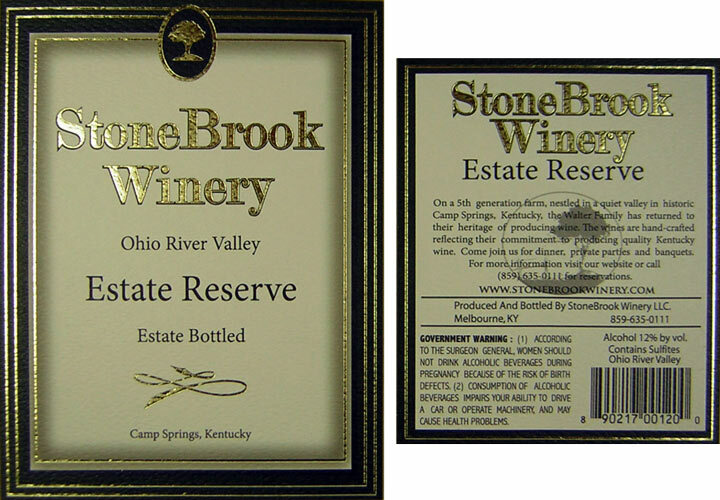 Vintage – A vintage date on the label indicates that 95% or more of the wine was produced from grapes grown that year. This is the year the grapes are harvested, not the year it is bottled. A 2007, aged in oak for 18 months, would be probably be bottled in 2009. Appellation of Origin – Appellation of origin is another name for the place in which (usually) at least 85% of the grapes in the wine are grown. It can be the name of a country, state, county or geographical region. In the Old World (Europe) you will see an appellation rather than a varietal. ie. Burgundy, Bordeaux, Chablis. Italy, Spain and Portugal also use appellations in this manner. In the US, a single county or state appellation requires that 75% of the grapes be grown in the that designated area. Viticultural Area – A United States viticultural area is a well-defined grape-growing region with similar soil, climate, history, and geographical features and these designations are regulated by the Alcohol and Tobacco Tax and Trade Bureau (TTB). In order for a winery to use a specific American Viticultural Area on a label, 85% of the wine must be produced from grapes grown within the confines of the viticultural area. VarietaI Designations – Varietal designations are the names of the dominant grapes used in the wine. In the US, a varietal on the label means that at least 75% of the wine is from that particular grape varietal. Examples include: Cabernet Sauvignon, Merlot, Riesling, Tempernillo, and Pinot Noir. Estate Bottled – Estate bottled wines must come strictly from grapes that are either owned by the winery or under its direct viticultural control through a long-term lease. And the wine must be completely produced, aged, and bottled at the winery. The winery itself, as well as all of the grapes used, must be from the same appellation of origin, and that appellation must be designated on the wine’s label. Vineyard Name – there is a distinct difference between a winery and a vineyard. A winery may own several vineyards, which all carry a distinct name, or the winery can also be a vineyard (grower of grapes) There is a trend toward single-vineyard wines, in a era where it is acceptable and useful to blend grapes from several vineyards to achieve a desired wine. If the wine is single vineyard, typically the winery will put the name of the vineyard on the wine. These are the primary items you will find on a bottle of wine. Remember each country has its variations, but generally, this information will help you better understand your wines – so you can concentrate on the beautiful label art. Wine 101 Miss WineOH Very nice post. I just stumbled upon your weblog and wanted to say that I have truly enjoyed browsing your blog posts. In any case I’ll be subscribing to your rss feed and I hope you write again soon! What a fabulous time I had vintiisg you. I don’t have enough superlatives for the trip. Record setting weather, delicious food, outstanding company.Thank you both so much. I can’t wait to see you next either in Wisconsin or hopefully in June. Hey! Someone in my Myspace group shared this site with us so I came to look it over. I’m definitely enjoying the information. I’m bookmarking and will be tweeting this to my followers! Superb blog and fantastic style and design. Oh wow! Perfect timing on this one! Hubs and I are heiandg to San Fran Napa & Sonoma next week to celebrate his b-day! Can’t wait to read the replies and get some more tips!! Again, many thanks. Fortunately I was able to test brix this evienng with the refractometer that finally arrived in the mail. After calibration, I got a brix reading of 24. The acid test revealed a 63% T.A. but my pH reading (I am hoping) is off: slightly below 3.0. I used pHydrion strips, that provided readings within a range of 3.0 to 6.0. My strips didn’t even register on the range of color, though were nearing the 3.0 color mark. I should have probably invested in a more reliable meter for pH testing, or at the very least, I’ve been told I can take some of the must to my winemaker friends(indianpeakvineyards.net) tomorrow for more accurate testing in all categories. This slightly overly acidic pH reading concerns me, particularly if I am looking to initiate MLF. What adjustments, if any, can be made to an overly acidic must before primary fermentation begins?Bear in mind that this is a small scale project (25 lbs of grapes, about 1.5 gallons of wine, at best), for the purpose of becoming familiar with the process more so than for the purpose of producing a superb end product . Even so, I’d like to attempt things correctly, and take meticulous notes in the even that I accidentally make something drinkable or detestable. What a fun and educational way to spend a day. I am in the wine irndstuy and I can say that this is fun for everyone whether you are an expert or just learning about wine. 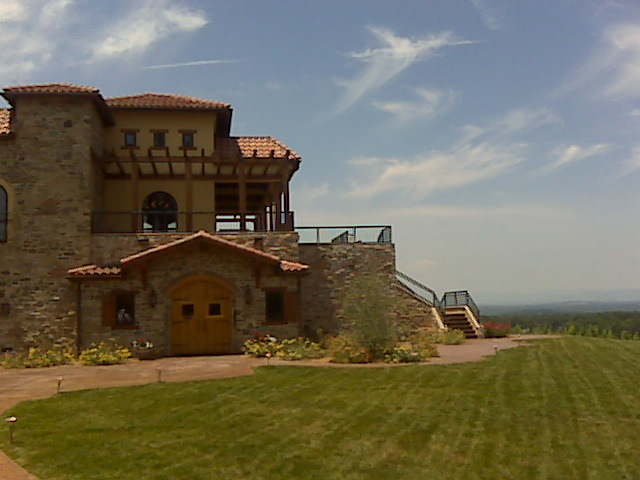 The scenery is amazing and you find out about new wineries and meet fun and interesting people along the way. I will definitely being doing this again. Thanks for sharing excellent informations. Your web site is so cool. I¡¯m impressed by the details that you have on this site. It reveals how nicely you understand this subject. Bookmarked this website page, will come back for more articles. You, my friend, ROCK! I found just the info I already searched everywhere and simply couldn¡¯t come across. What a perfect web site. I did the tour with a friend from Canada and we diescverod this little family winery in the most unexpected place. We thought we were lost! Turns out their wine is award-winning and the hospitality was exquisitely warm, sincere and informative. Was like being shepherded in the heart of wine making. I like this short article quite much, wish you can compose more about this. We spent a fantastic Saturday nintuhg down 3 phenomenal wineries on the Treasure Trail we never would have found these gems on our own! The challenges were fun trivia at our first stop, cave-exploration (with wine) at our second, and a blind tasting at our third. The better we did, the bigger the discounts on the wine we purchased. We had so much fun (and learned a ton)! I’ve been there a few times. They actually have some very good wines, esaplielcy a couple of their Syrah vintages. They hosted a wine harvest festival a couple of years ago, really a nice event with tours, a dinner, entertainment and some celebrities, including of course Nun Woranuch who is now married to the owner’s son.